A Tanah Merah resident has this morning described the call with emergency services reporting a deadly truck crash which went unattended by crews for hours, saying she felt "fobbed off". Michelle Murray, who lives near the Slacks Creek Bridge along the Logan Motorway, told ABC Radio Brisbane she heard and felt a loud crash in the late hours of Monday evening. 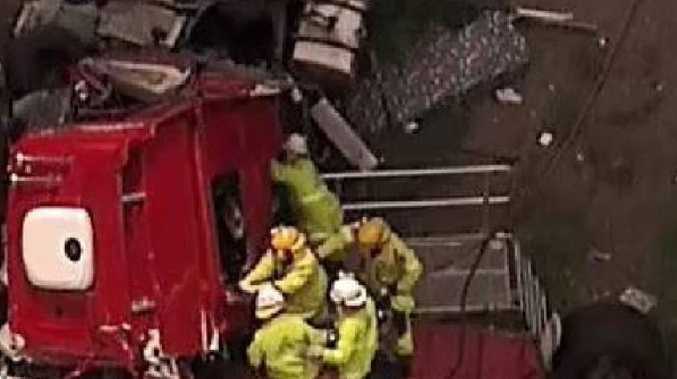 She investigated the scene on Tuesday morning and alleged she called triple-zero just after 6am when she came across the semi-trailer crash, describing the interaction with the emergency operator as feeling "fobbed off". 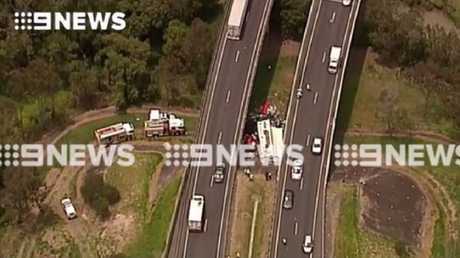 Police later attended the scene, 10 hours after it first came off the motorway, and pronounced a 57-year-old NSW man dead. Mrs Murray said she felt the house shake when the Lindsay Brothers truck came off the motorway at approximately 11.30pm on Monday evening. 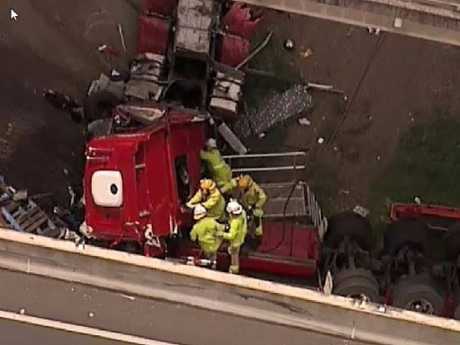 "My husband and I woke up to an almighty bang bang, which we now believe was the impact of the truck landing between the two motorways on the concrete barrier," she told ABC Radio Brisbane. "We had other neighbours driving up and down the street looking for the accident, which they couldn't find." Mrs Murray said she first discovered the wreckage and called emergency services at approximately 6am. "We went to drive over the farm and I thought we might see something and initially I didn't see anything, but when I went to come back out I spotted the truck wreckage between the two motorways." "From that, I actually rang triple-zero at 6.08am and that's when I basically felt fobbed off." She said the operator assumed the incident had already been reported to the authorities and had been attended to. "They basically told me at the end of the conversation that they would look in to it and see if anything had been reported," she said. "When I spoke to them and said there were no lights or sirens in the evening, they said it was not uncommon for semi-trailer accidents." 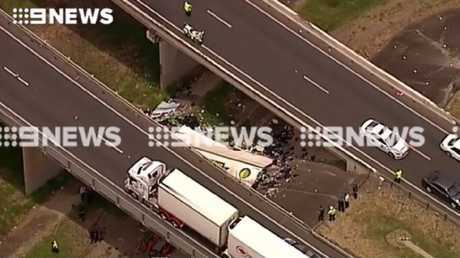 Mrs Murray, who later called Lindsay Brothers to report the truck crash, said authorities did not respond to the incident until four hours later, and not because of her own report. "There was another accident on the Logan Mwy and trucks were banked up I believe," she said. "I believe a truckie looked over the edge when he was sitting there and spotted it and it was reported at 10.30[am]."